Partner up with Batman for a fantastic duo combination; this Robin Superhero Costume is perfect for Film, Comic Book or Hero themes! Rather than going for Batman why not be a bit different and become his famous sidekick? This official licenced Robin Superhero Costume includes everything you need for this great character – with Jumpsuit, Boot Tops, Cape, Belt and Mask. The jumpsuit is in the classic design, with ‘R’ logo on the front, the attached black boot tops are padded for a great look and are simply worn over your shoes (elasticated bands fasten over the base of your shoes). A vibrant yellow belt is also included, which simply ties around the waist. A matching black cape and mask perfectly complete the look, which both tie to fasten. 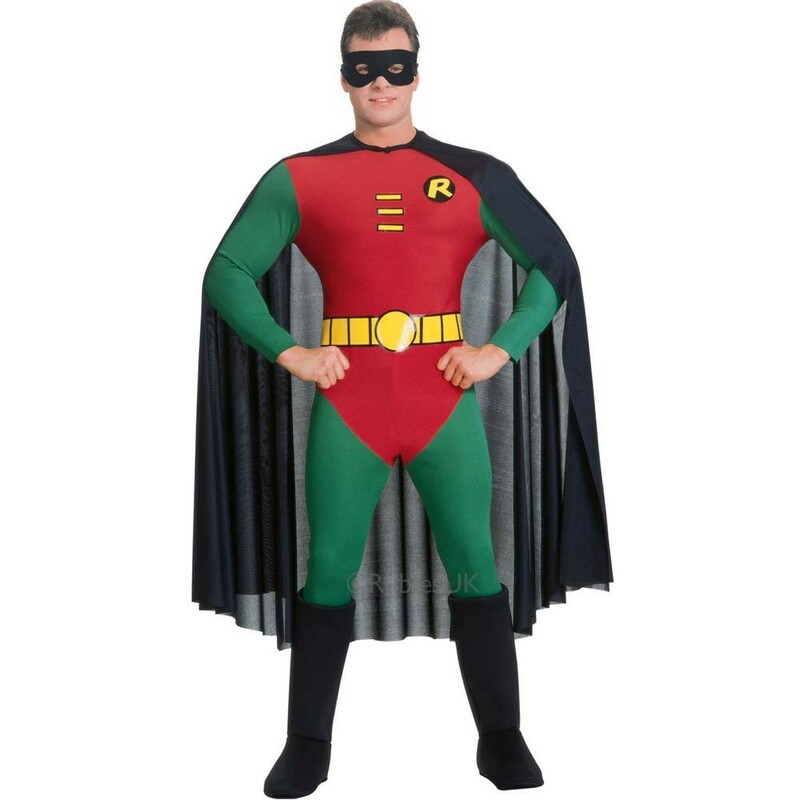 This fantastic Robin Superhero Costume is perfect for any Superheroes theme! Jumpsuit with attached Boot Tops, Cape, Belt and Mask.